Attorney General Ken Paxton’s pastor has sued the lead witnesses against him in his upcoming criminal trials. Last week, Prestonwood Baptist Church Executive Pastor Mike Buster filed a lawsuit against Rep. Byron Cook and Florida businessman Joel Hochberg, the two men named on Paxton’s fraud indictments. Paxton attends Prestonwood’s main campus in Plano. The asset management company did not disclose that its own managers would benefit from the sale, Buster adds, omissions he said in part caused him “to lose virtually his entire investment.” Paxton, who was also manager of the company, is not mentioned in the suit. Buster’s lawsuit is very similar to, and builds off, similar allegations lobbed against Cook and Hochberg earlier this year. That lawsuit was filed by Charles Loper III, who’s in charge of Paxton’s newly formed blind trust. I haven’t read the lawsuit and don’t have any opinion on it. I don’t appear to have noted the Loper lawsuit, so I’ll pass on that as well. 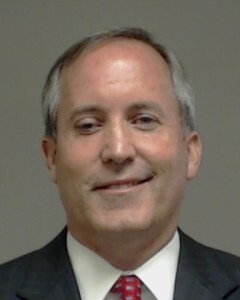 Does any of this have anything to do with the case against Paxton? I have no idea, but would anyone be surprised if this was an attempt to damage the main witnesses against him? I wouldn’t. Whatever it is, it’s a little weird and it’s worth noting for future reference, just in case.